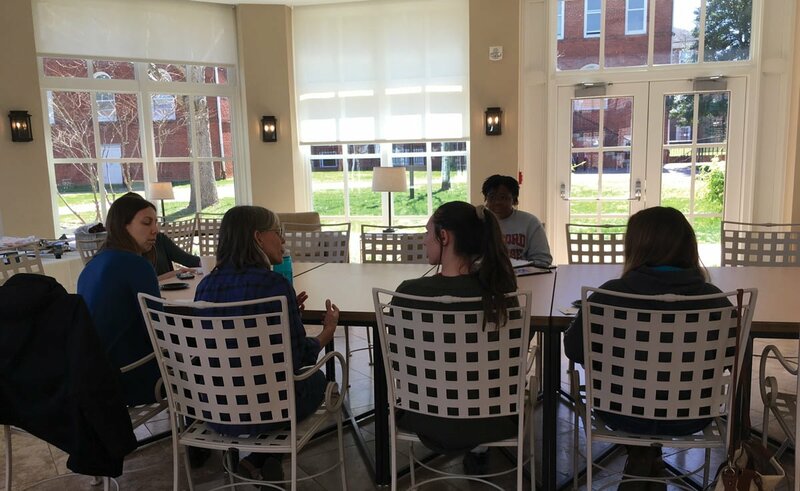 On Wednesday, March 27, the Women’s, Gender and Sexuality Studies (WGSS) department sponsored a Tea, Talk and Dessert event from 1:00 p.m. to 2:00 p.m. in the Orangerie. The event was open to all Guilford students, staff and faculty members and was held in honor of Women’s History Month. The time for discussion and sharing focused on the voices of those who identify as women at Guilford and beyond. Professor of Sociology and Anthropology Julie Winterich emphasized the significance of recognizing the power of voice and creating a space that encourages the use and amplification of the respective voice. Through the event, WGSS sought to welcome and embrace community members in being a part of an open dialogue. The specifics of the discussion were determined by the wishes and interests of the students who attended the event. Professor of Philosophy Nancy Daukus, who has been coordinating WGSS for the past three years, highlighted the flexibility and openness of the discussion in terms of the number of different directions the conversation could go. Daukus believed leaving the topics of discussion in the hands of the students was significant. “I’m here because there’s all sorts of things that I think that we can talk about, but it’s most important that we discuss what is on the students’ minds,” Daukus said. The conversation shifted to discussion of sexual assault reportings. Winterich shed light on the low sexual assault reporting rates on college campuses that can often be misleading to those looking at related statistics. Upon discussion of sexual assault support networks currently in development with WGSS, Daukus emphasized the importance of additional moral support. Another point of discussion was in relation to Title IX and recent campus efforts to increase awareness of the law and its effects. Some community members, including Daukus, felt that increased communication about Title IX to students is necessary in terms of prioritizing transparency and clearing up any confusion that may remain around them law. Senior Jhanna Vasser expressed similar sentiments, adding some suggestions to make Title IX information more clear to students and community members. “Every once a month, there could be a campus-wide email to keep us informed about how we’re handling Title IX and who to go to,” Vasser said. Vasser said that communicating this information to students early on could prove beneficial.